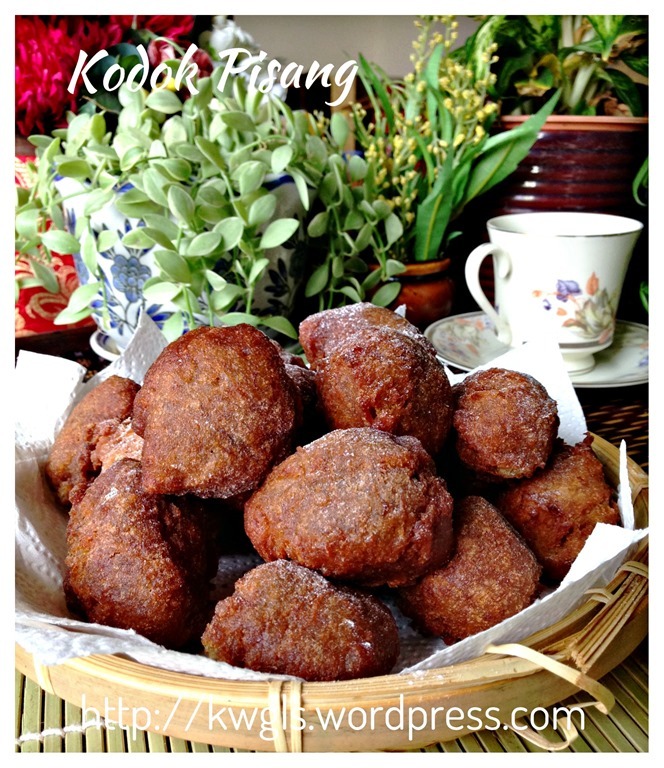 Many readers missed our traditional cuisines but most new house chefs did not know how to prepare it. 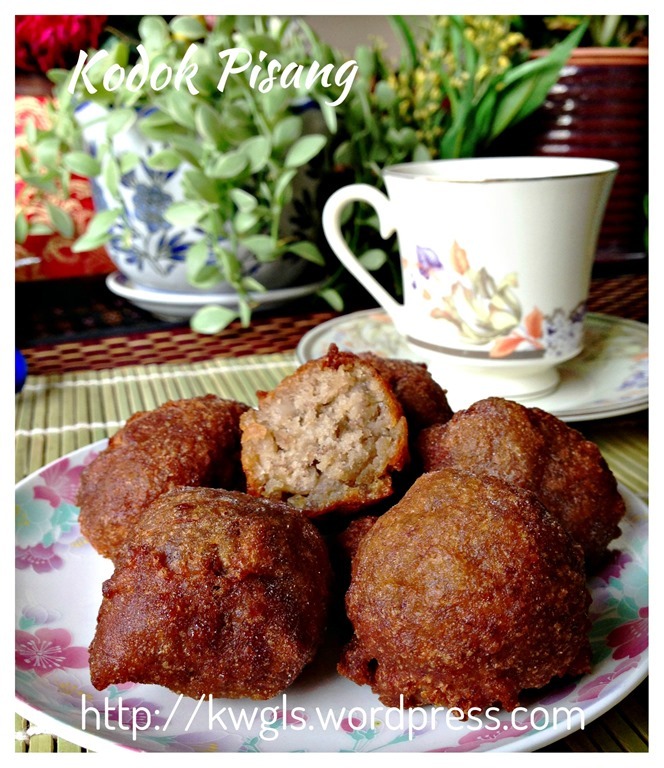 Pardon me to say that most traditional recipes are simple and fast and easy to prepare but with awesome taste.. It was left out probably due to change in taste buds over the years, more health conscious newer generation and pampered with too many choices. 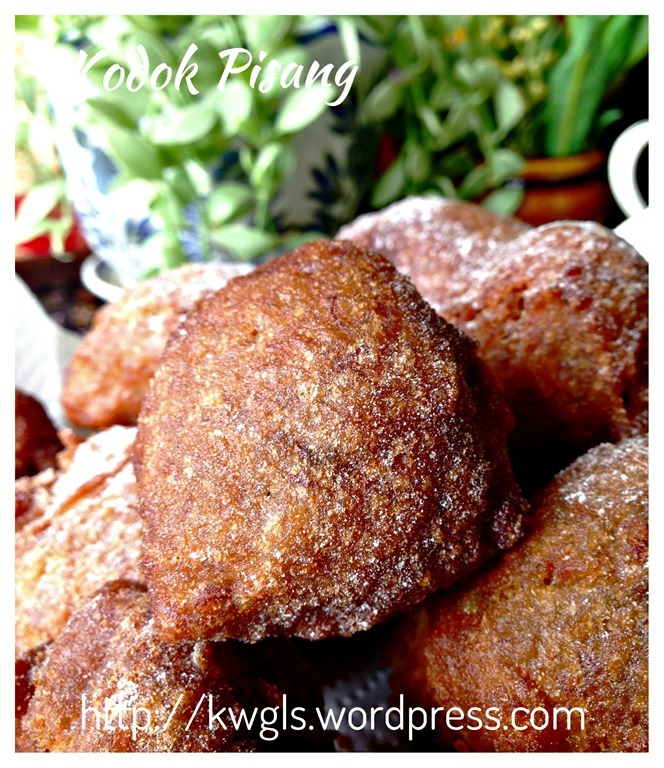 Jemput Jemput Pisang or Cokodok or Cekodok Pisang or Kodok Pisang is a type of Malay traditional mashed banana fritters that was commonly sold in the stores together with banana and other fritters.. 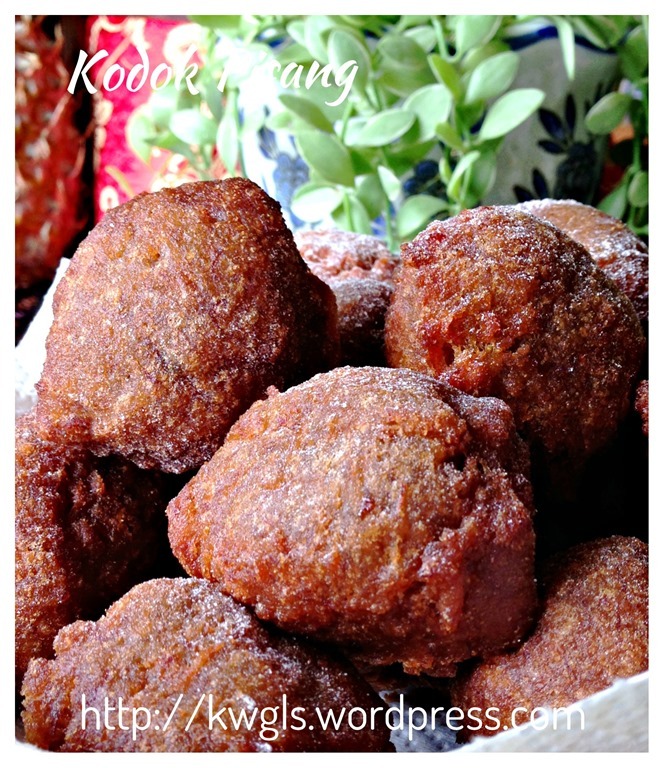 I love this slightly sweet fritters that goes well with a cup of coffee or tea.. 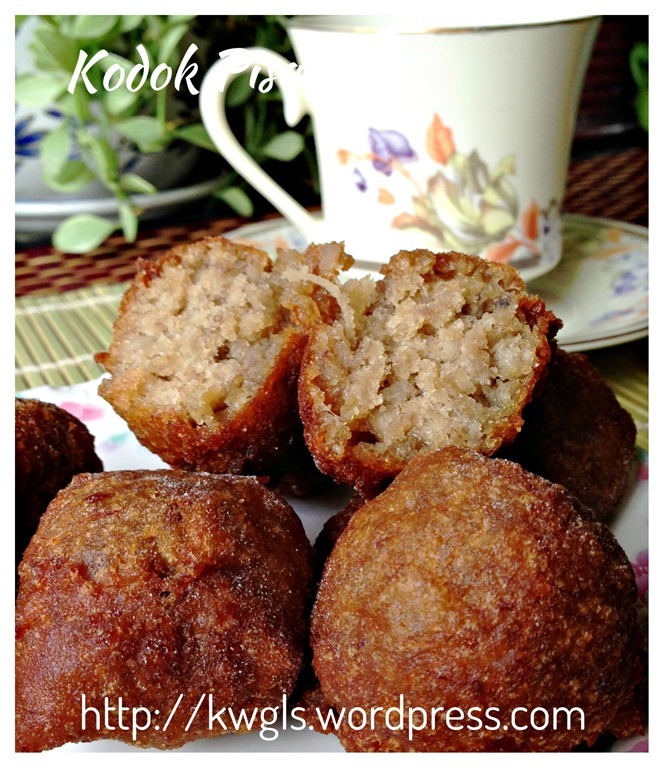 The preparation can be as simple as you want it to be, just bananas and flour. However, there are many other ingredients that can be added to enhance the taste and texture. 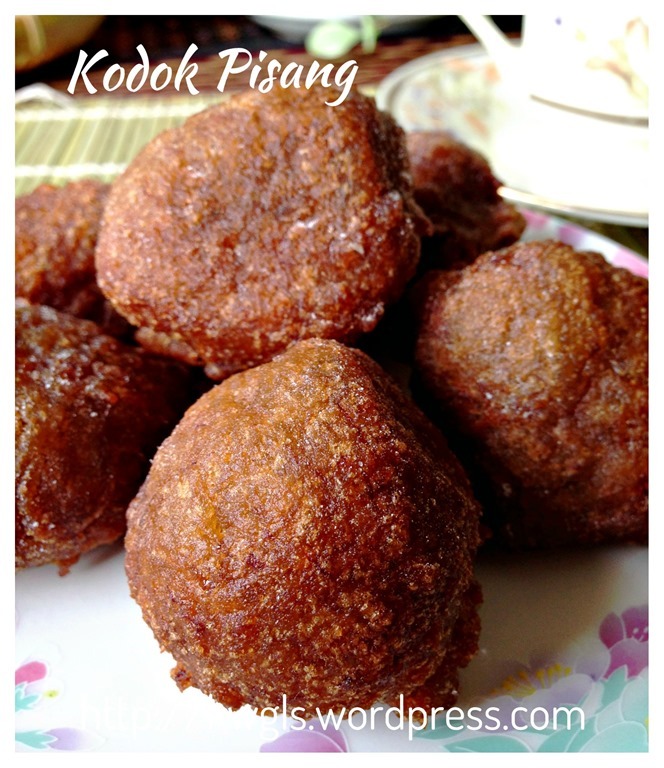 Today, I am sharing a version that have shredded coconuts and palm sugar.. 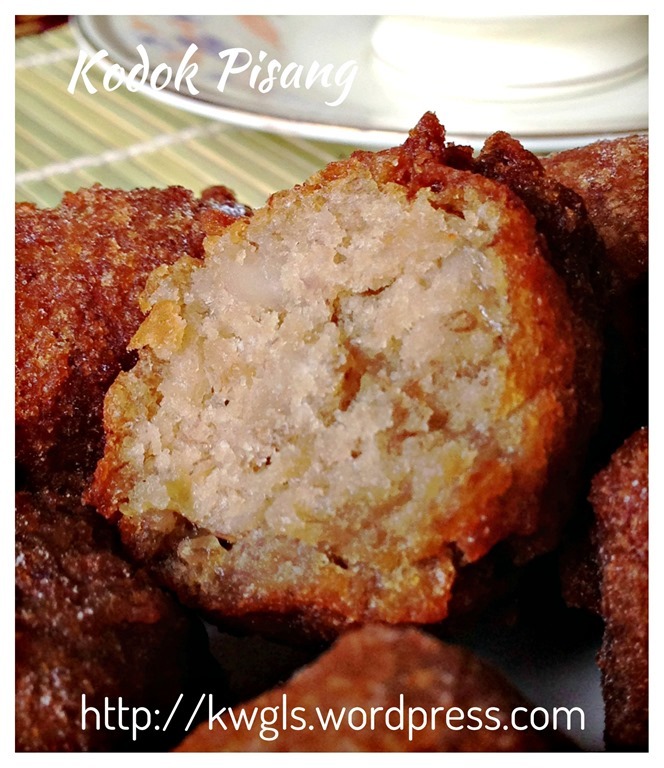 In addition, I have added rice flour to make it stay crispier for a longer period of time. 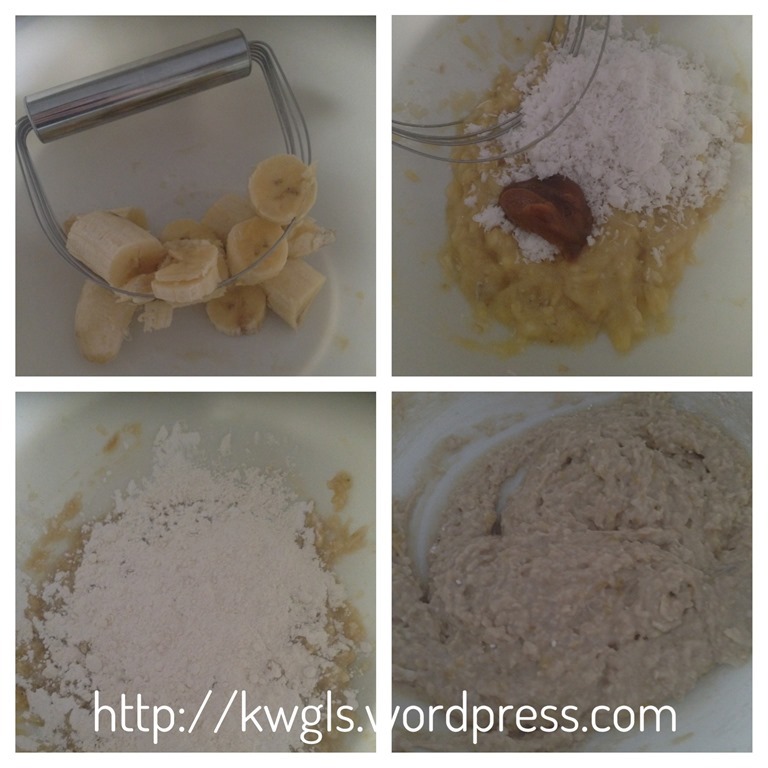 In a big mixing bowl, mash the banana until puree form. 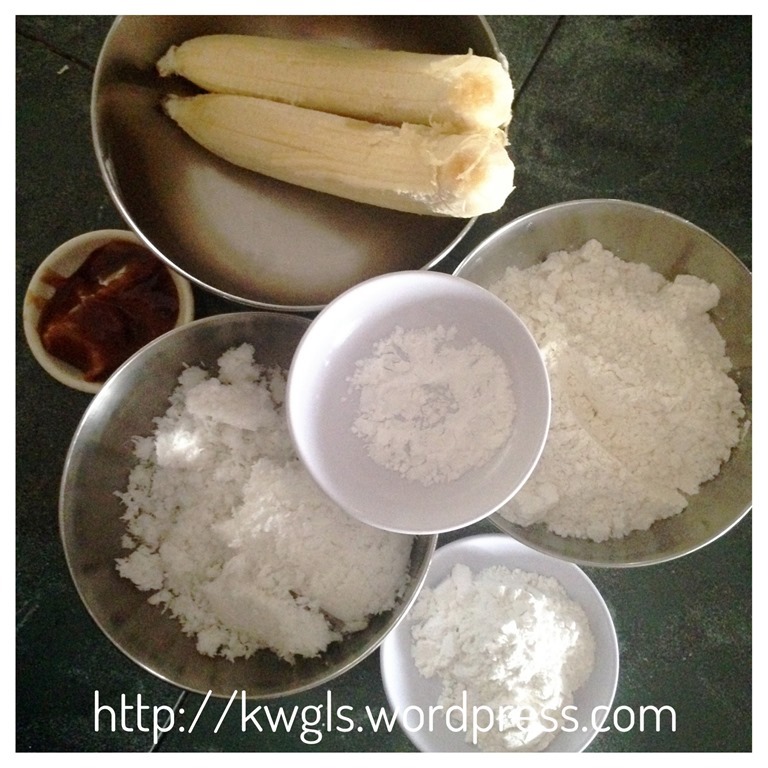 Add the grated coconut and palm or brown sugar. Stir until well mixed. Sift the plain flour, baking soda and rice flour. Stir until well combined. In a pot, heat up adequate cooking oil. 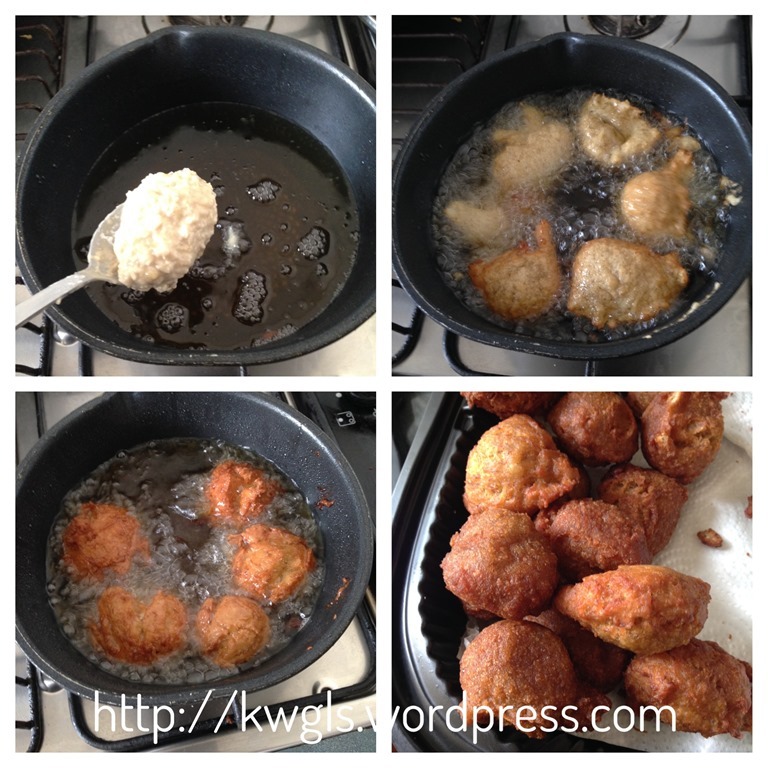 Drop a tablespoon of the batter into the hot oil carefully. 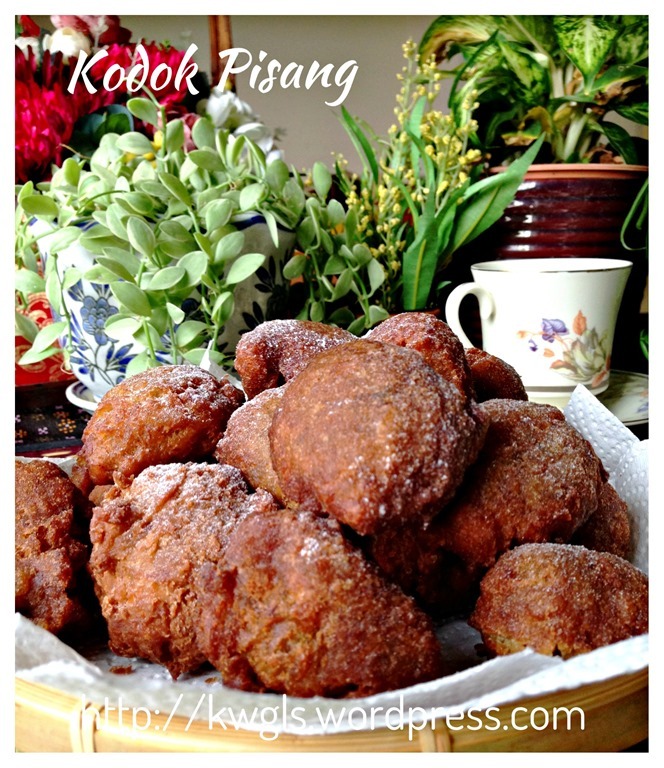 Deep fried the mash banana fritters under medium heat until golden brown. 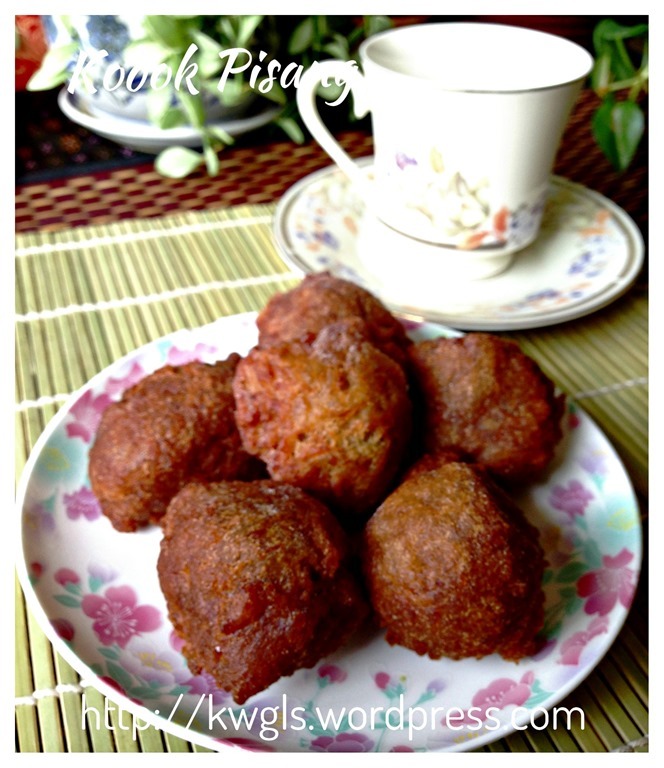 Drained and served as a snack or breakfast items. 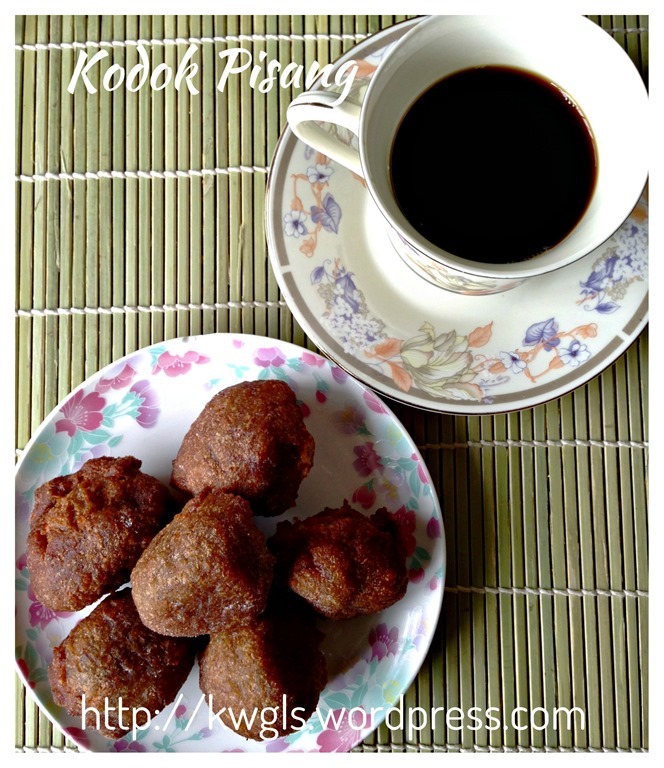 An easy and simple traditional snack for all to try out.. 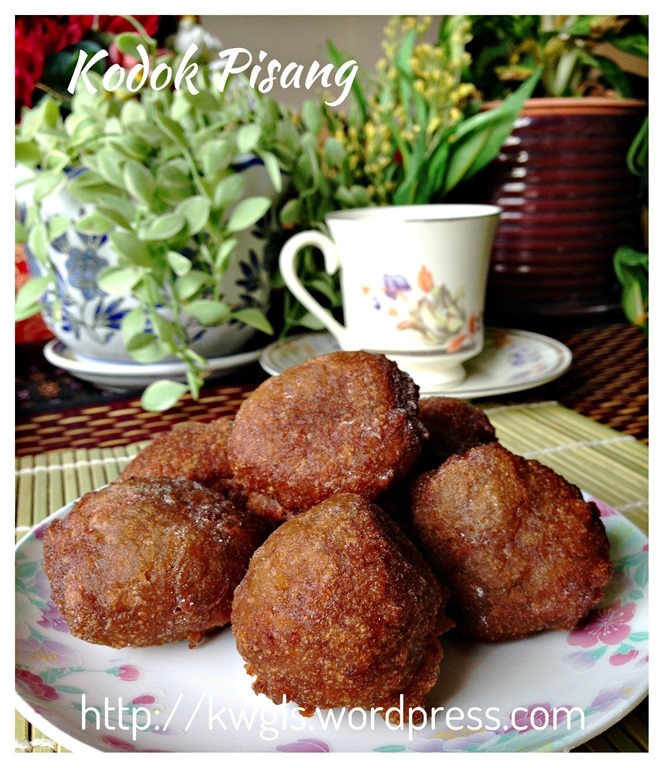 Adding the rice flour will make the mashed banana fritters exterior a bit crispier and using palm sugar and shredded coconut have enhanced both the texture and taste of this traditional snack. 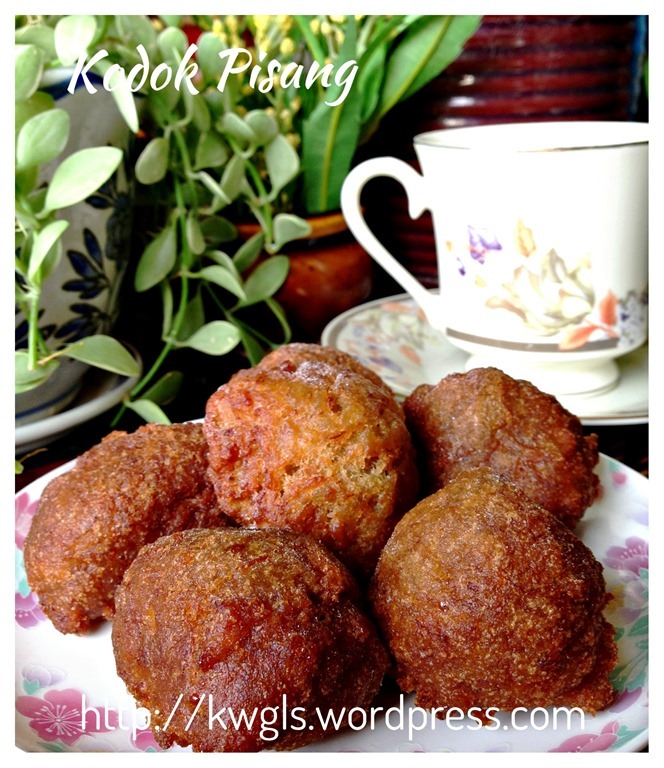 This entry was posted in Chinese and Asian Cakes and Snacks, Food Preparation Series and tagged 8, 炸香蕉球, GUAI SHU SHU, Guaishushu, Jemput Jemput Pisang, kenneth goh, Kuih Cekodok, Kuih Cokodok, Kuih Kodok, postaday. Bookmark the permalink.